By default, the Amazon Fire TV only recognizes USB drives and microSD cards formatted with a FAT32 file system. This poses a problem for storing and accessing files larger than 4GB, since that’s the limit of the FAT32 file system. If your device is rooted, you can mount drives and cards using other file systems, like NTFS, and access files stored on them within apps like Kodi and ES File Explorer. This guide will show you how to mount non-FAT32 USB drives and microSD cards on a rooted Fire TV 1 or 2. Your device must be rooted to follow this guide. If you want to play media files that are larger than 4GB on a non-rooted device, see this guide. You will also need a mouse connected to your device to complete this guide. You cannot move apps and games onto a non-FAT32 drive or card. To do that, you must use a FAT32 formated USB drive on the Fire TV 1 or a FAT32 formatted microSD card on a Fire TV 2. 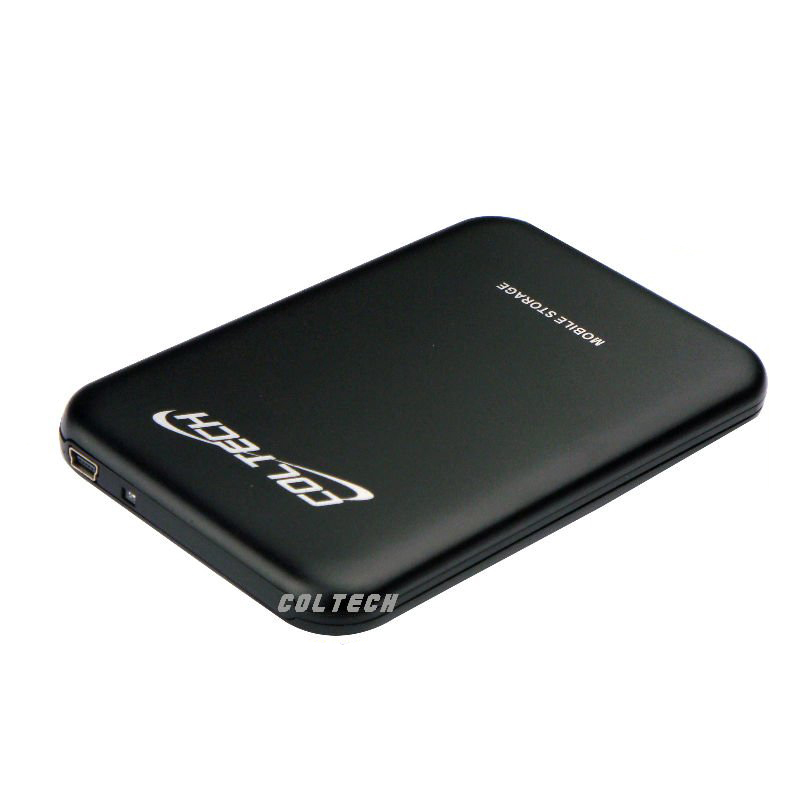 Non-FAT32 external storage can only be used to store media and files. Sideload the app Paragon exFAT, NTFS & HFS+ onto your device. You can download it from here or here. Select “Grant” from the popup to allow the app SU access on a rooted device. Using a mouse, click the “NEXT” button in the upper right. Click the red “SKIP” button at the bottom of the screen. Select “YES” on the SELinux message. Plug in your NTFS microSD card or USB drive. If you’re asked to format, select “Cancel” to dismiss the message. Your card or drive should automatically be mounted. Pay attention to the “Mounted on” directory listed. This is where you will navigate to access the files on the NTFS card or drive. [OPTIONAL] Follow this guide to disable the message that asks you to format your drive or card. in have been using stickmount to mount my ntfs harddrive for a small year now. just be sure to install the plugins it asks. this is on fireos3 though from towelroot to latest prerooted version. I guess stickmount wont work on fireos5, which I have been worried about. so thank you very much elias. Actually Stickmount works fine on fireOS 5. I use it with my firetv 2 rooted. BUT i still have a problem, and it’s been the same since my fireTV gen1. I mount the NTFS drive just fine, but It only allows to download a file as big as the free space in the internal firetv sdcard. So even if i have a 500gb mounted drive i can’t download a file bigger than 4gb cause that’s what i have of free space on my internal firetv storage. Can i bypass/correct this fault? what do you mean download. of cause you can not download a file to your internal storage that wont fit. but I have I feeling that is not the problem does files bigger than 4gb not stream because 16-20gb stream fine here, they also download fine over samba. I use sambadroid. I have attached a 32gb ntfs drive to my firetv. But by using stickmount or even the app in this guide (Paragon) it creates a folder inside the internal storage where you can access your ntfs drive. So far so good. But the system doesn’t see the free space on my ntfs drive. So if i have 30gb free space inside my drive but only 4gb free in my firetv internal storage, when i try to download a file bigger than 4gb i get a failure messsage saying i don’t have enough free space to download the file. I hope i did explain it better this time. don’t worry I am not native either and I know what you mean now. :) I have that too, but that is to be expected you can not download apps to it, as it is not formatted as usb storage that can be used for apps and games which requires fat32. before firetv1 had usb support you could and I expect you still can format a harddrive as ext4 and copy the system and run it from there with a small script installed from cwm. because the firetv can not tell the difference it practically gives you unlimited internal storage. I had relatively new 1GB drive running system, and could not tell any difference in performance at all. I then still had my old 3GB NTFS drive mounted via. stickmount and a usb hub. sometimes if I pulled power it could get confused about the 2 drives but when it happened the solution was as simple as to connect the system drive first, and the NTFS drive when it started booting. lol disregard this. I of cause realize it is not your problem from the your answer. guess I am on a mission to fill elias’ comment page. guess I am still not totally clear though lol. because when you say download a file to it. the first thing I can think of is app or games which I explain above. but I realize it can be from a ftp app or similar. I can download/transfer files bigger than 4GB to the ntfs drive fine from kodi for example although it only reports 4GB free if I specify the folder. from what app do you download a file from? sorry for the many replies I wish I could edit, as said I can also transfer files bigger than 4GB back and forth from my computer using samba fine. Basically i meant Kodi. I can transfer a file from my pc to the firetv using a samba app just fine. But while using a Kodi addon for example, if i try to download a big movie file, i get an error saying it doesn’t have enough space to download the file. I do have the same problem…I couln’t come up with a fix yet…what about you? PS: StickMount did the job from the beginning so I will stick to it. I can not reply on reply Joao, but I do not have that problem, although kodi says it only has less than 2GB left. I just tried. also tried mounting a samba drive from kodi’s file manager and transferred a file larger than 4GB. very odd, guess I can not help. every app I use in kodi does it fine. sorry. I’ve also been using stickmount and have downloaded files over 4gb with Dolphin browser, Utorrent and Es File without a problem. Haven’t found a file big enough in Kodi to try it out. I’ve been using this method for months now and love wirelessly transferring new content so I don’t have to disconnect the hard drive. Does the Paragon app work with drives/cards formatted with ext4 file system? Odd, can’t get my 460GB external usb drive recognized by the firetv 2. I don’t think it’s power because it a 2 cord usb cable and I plugged the secondary power cable into the usb port on another FireTV 2. I got my 4GB USB recognized instantly though. Will test with my 128GB USB 3 Flashdrive. Can only assume it’s because of this 2.5″ Coltech external usb 3 chassis or the fact that it’s an SSD inside, but that shouldn’t make a difference. I’ll see if I can source another 2.5″ Chassis and test that. After I hit Allow to grant root I then get a black screen with white text instead of the graphic screen. It looks like it’s not granting access or something, but I’ve tried it a few times and still no luck. Any idea? Using a FireTV2. I am hoping to mount an external drive formatted EXFAT to my rooted fire tv. I am not having any luck doing it so far with Paragon or stick mount. Any help/suggestions? I’ve been using Paragon to mount my 4 TB NTFS Seagate drive and play media with kodi on my rooted AFTV2 running 5.0.5.1. It’s been working fine but yesterday I unmounted to unplug the drive so it wouldn’t spin all night. But now when I mount the drive it mounts in a new folder location (i.e.- /ParagonNTFS_1). It’s actually happened twice and now all of my files are accessible through /ParagonNTFS_2. – I installed the app on my phone and used APK backup feature in ES File Explorer to grab the APK. – I tried getting the APK from the APK Pure website in the article. – I tried installing using ADBLink app. – I tried copying the APK directly onto the device and installing it from there, using ES File Explorer. Upgrade to a preRooted FireOS 5 FW following Elias guides. I want to ask a related question. Just updated to FOS5 pre-rooted with TWRP recovery, and I think the mounting external usb for internal storage does not work any more (was developed in FOS3 and CWM recovery), so I followed the instruction to move kodi’s data to external usb (fat32), and I also noticed that the ftv popped out a msg saying “when needed, external storage will be used to install apps” and I do see “move to usb storage” in all those apps’ setting. Is there a specific reason we should not move all the apps to usb storage? Back in fos3, we had to use several steps to “merge” external usb with the internal storage so that we can use more space to install apps and stuff. Thanks a lot. Hello. I’m having the same problem as the users above. Since upgrading to the newest pre-rooted version, Paragon no longer works for me to mount my portable hard drive. I tried to upgrade to the newest version (Paragon Root Mounter), but it wants me to download additional files from Google Play Store, which I cannot do. How do I fix this to get my hard drives working again? Thanks! Has anyone figured out how to connect USB NTFS drives when updating to the most recent ROM in FTV2? I’ve tried everything but no go. Thinking of rolling back my version to one that works with the old Paragon app, which I had to go find and download the .APK. After not receiving any replies to this comment, I figured the issue must be on my end. I eventually wound up re-installing the most current ROM, uninstalling and re-installing the *CORRECT* version of Paragon (one of the links above has an old version and one of the links has a newer version) and my drives are working again. I still have one drive that used to work that is no longer recognized by Paragon. Scratching my head on that one, but at least everything else is working as it should. Is there a method for rooting the fire tv stock 4k ?